Although it has been a way of investing for years in the UK market, for Australia equity crowdfunding is the new way for every investor, including mums and dads, and the millennial generation to invest in early-stage and growth-stage businesses. Where traditionally, this capital raising space was dominated by wealthy individuals, venture capitalists and angel investors, now everyone is able to handpick a company, invest and gain a stake. With Revvies becoming the first equity crowdfunding deal to close in Australia, OnMarket CEO, Ben Bucknell, encapsulates what this means for investors and start-up entrepreneurs, “Equity crowdfunding brings entrepreneurs and consumer investors together for the first time, and that is what we have been able to achieve with Revvies”. He anticipates that there will be significant interest in this space going forward, from both companies looking for capital and investors looking for access to innovative, growing companies, just like Revvies. 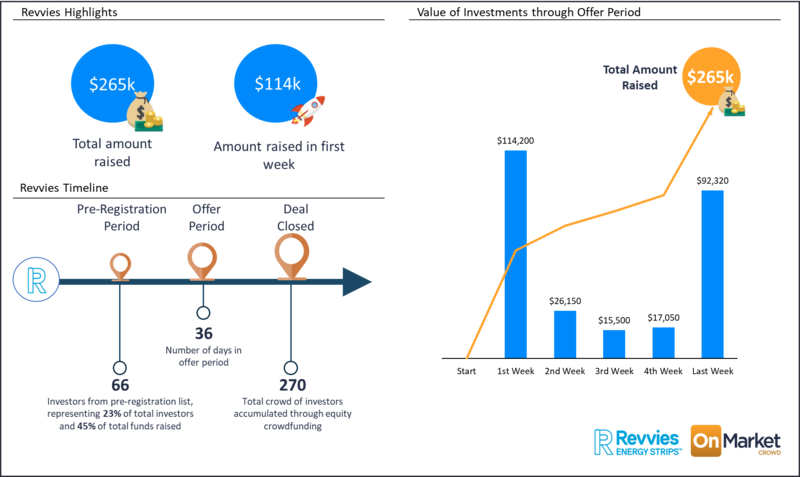 Through equity crowdfunding, Revvies successfully raised nearly $265,000 via OnMarket from approximately 270 investors. New shareholders in Revvies have invested in a company that produces an innovative, fast dissolving caffeine mouth strip, used widely by 6 national sports teams, 20 teams competing in the NRL, AFL, Big Bash and Super Netball, as well as Olympic athletes from Australia, New Zealand and the UK. The product provides athletes, students and busy people with the ability to have a faster, sugar-free, safe and consistent caffeine boost. 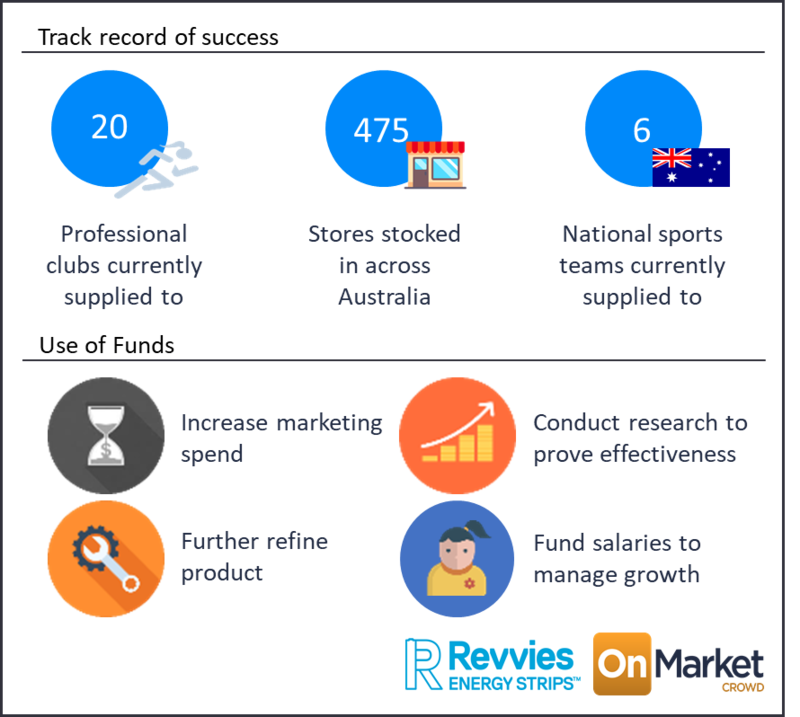 Revvies is stocked in more than 475 stores across Australia, including the Australia’s largest pharmacy group, Chemist Warehouse. Revvies co-founder John Nolan-Neyland recognised the benefits of equity crowdfunding for companies, commenting “We found equity crowdfunding to be a great way to build brand awareness for Revvies, and an exciting new alternative to the more traditional ways mall companies like us would normally raise capital. The beauty of accessing the crowd is that our investors will now become our endorsers, our influencers and our advocates”.